Registered nurses are in demand in the US, and also command a very healthy salary on average. But job security and a solid paycheck don’t always add up to instant home ownership. Just ask Jennifer. Fortunately, Jennifer found out about a down payment assistance (DPA) program that was developed specifically for people in selected professions, including nurses like her. While Jennifer still had to meet the income, asset and property guidelines associated with the loan she was considering, the DPA program allowed her to buy her first home sooner rather than later. 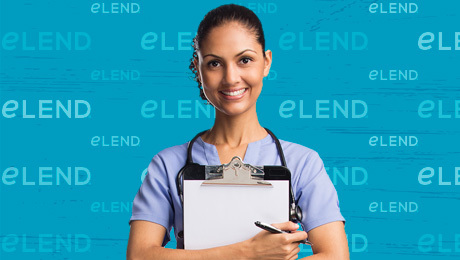 If you’re a nurse looking for down payment assistance, consider The Advantage Program. If you qualify and are approved, your down payment assistance will be paid in the form of a forgivable grant at the time of closing. “Forgivable” means you don’t have to pay it back, and the loans are available in 20-, 25- and 30-year terms to allow for flexibility. It’s our way of trying to help hometown heroes like Jennifer achieve their dreams of home ownership. Keep in mind that The Advantage Program is only for purchase loans — not for refinancing.